Christmas is the time of year where we eat, drink and be merry. And if you’re fortunate enough, once you hit a certain age loved ones still buy you a little something to open up too. This past weekend I cleaned out my bathroom cabinet and it looked my own personal episode of Hoarders the Bath and Body Works edition. After some sorting and organizing, I now have a tremendous box of sprays, lotions and body wash I’m donating. Before you roll your eyes and go all keyboard cowboy on me let me explain. I like winter candy apple, vanilla bean noel, cotton candy kiss and whatever else cutesy scents Bath and Body Works thinks of. But I like it for about 15 minutes because that’s how long it takes for my headache to kick in. For a short time I would keep a spray or two in the glove box in my car and another one in my office because I have so many. My sea of body sprays was built on good intentions and love but now I’m drowning in it. Quite honestly if I get one more spray that I have to cram into the bathroom cabinet I’m going to scream or just set fire to the entire bathroom. Society teaches us to express our love by giving presents. This reality rings especially true during the holidays. It kicks off immediately following Thanksgiving dinner with thousands of people literally trampling one another for a good Black Friday sale and continues throughout the season. I am incredibly blessed. I am surrounded by the kindest, most loving people who either think I smell or want to see Christmas in my eyes with their generous gift. But please do NOT buy me any more body sprays. None of us really needs more stuff. We need human connections, trust, loyalty, companionship. We need real conversations. You know the old fashioned pick up the phone and talk to someone conversation. We need to respect a difference of opinion and to love thy neighbor. The best present is simply being present. We believe thoughtful presents take the place of our thoughtful presence. 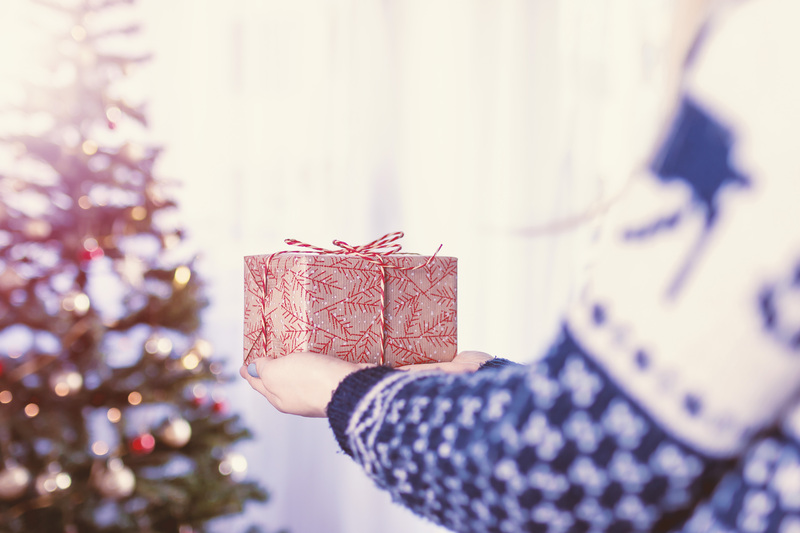 This year, let’s share a different gift with those we love—our entire, genuine self without distractions. Still want to bring something? Do this instead…bring a bottle of wine or a box of hot chocolate and come join me by the fire. Let’s talk without technology. Let’s turn off the wifi, put away the cell phones and pay attention to one another. When you’re completely focused in the moment—no phone, no social media, no TV, no internet, no distractions—it creates an unforgettable difference in the lives of the people around you. When you’re fully present, your love shines. I promise if we do this instead, together we will create priceless memories.